Discover how a conference call service makes light work of setting up and holding a staff or company meeting. Keep your meetings on-topic and efficient by following the information in this guide. Find out how to record a conference call for transcription. Use these five simple online content marketing tips to help you leverage social media and drive new customers to your website. 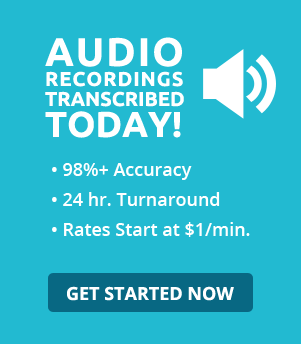 Explore the easy ways transcribing audio to text can increase your audience. Transcription is simple and effective when you know how to do it. Learn how to moderate a focus group. Keep the conversation going and encourage useful comments and debate during a focus group interview. Finish writing meeting minutes quickly and accurately. Follow these essential tips to create concise, organized minutes that keep the team on track. Use online transcription to keep accurate meeting records. Follow these tips to record the minutes of the meeting in preparation for transcription. Improve your note-taking techniques at your next lecture with this evidence-backed advice. Ace your exams with these research-backed tips on note-taking methods, from rewriting notes for deep learning to why you should leave your laptop at home. Try out these productivity improvement tools to get more work done in the same time frame and have a better work experience wherever you are. Learn how to manage your time wisely and improve productivity when working as a freelance writer or transcriptionist. Put these 4 tips into practice for producing a high-quality seminar transcription. Learn essential tips for focus group transcription and review how to create sensitive, accurate transcripts of group conversations and interviews. Learn about four great techniques for improving productivity at home or work, including how to structure your day to keep you on task. Check out tips from Transcribe.com on how to increase business productivity, and make the most of every day and hour.